Perfect solution for mounting our small illuminators such as the B20 / BR20 and Black Sun Dark Engine laser illumninators. Fits a standard picatinny rail. 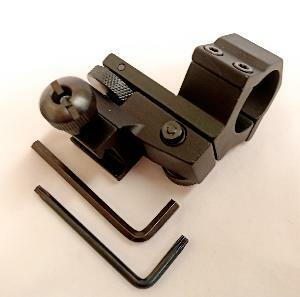 1" / 25mm clamp for IR / torch. Very stable with no wobble, unlike other mounts of this type.